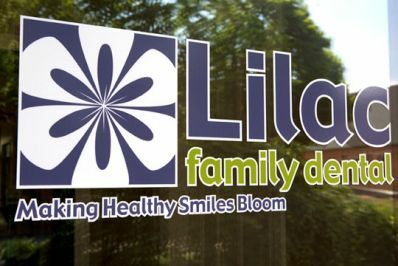 The staff at Lilac Family Dental, like our patients, are like family. Our team has been together for years and because we share the same principals on patient care and spirit of team work, patients can expect to have a warm, welcoming, knowledgeable, and caring dental care experience. Born and raised in Webster, New York, Dr. Brunelle graduated from St. John Fisher College with a Bachelor of Science degree in Biology and a minor in Chemistry. She then earned her Doctorate of Dental Surgery degree from Case Western Reserve School of Dentistry. After entering private practice in the Cleveland, Ohio, area, she and her husband Dr. Suresh Goel, a periodontist, returned to the Rochester area in 2004 to be close to family and raise their children. Sharing a similar philosophy and commitment to patient care, Dr. Brunelle joined the practice of Dr. Ladrigan and after his retirement renamed the office. Having children of her own, she appreciates the importance of providing a positive dental care experience for children and adults alike—an important step in maintaining good oral health habits for a lifetime. Spending time getting to know her patients and their families is important to Dr. Brunelle. She believes strongly in the value of providing affordable, high-quality dental care in a comfortable and caring environment. Dr. Kloc recently moved back home to Rochester following his education in Buffalo, where he received a bachelor's degree in Biomedical Sciences and a Doctor of Dental Surgery degree at the University at Buffalo in 2013. He completed a yearlong residency at Rochester General Hospital and then entered private practice, where he continues to provide exceptional dental care in a comfortable, caring environment. Dr. Kloc recently got married and is looking forward to living and practicing dentistry in Rochester for many years to come. His dedication and passion for dentistry results in quality, compassionate care for his patients. Dr. Kloc welcomes you to Lilac Family Dental! Becca has been with the Lilac Family Dental team since 2012. Always with a warm hello and pleasant demeanor, she is our business assistant and the front line to our patients. Samantha has been in the dental profession since 2006, recently joining the Lilac Family Dental team in 2015. She has a strong background working with insurance and can help answer many of your dental insurance, treatment plan and appointment related questions. Gretchen has been at Lilac Family Dental since 2010. Starting out her career in high school as a dental assistant, she then went to school for dental hygiene. In addition to her experience, Gretchen has recently completed training in local anesthesia and nitrous oxide sedation. Roseann joined the Lilac Family Dental team in 2011. She has an Associate's Degree in Dental Hygiene and has 34 years' experience in the field. To stay current with her skills, she attends numerious continuing education courses throughout the year. Caitlin recently joined Lilac Family Dental in 2013. She is Registered Dental Hygienist and also has a certification in local anesthesia administration. Among her experience, Caitlin has taught at Monroe Community College as an assistant clinical instructor. Joining the Lilac Family Dental in 2011, Trish brings years of experience to the team. Trish attended the Rochester Dental Assistant School and interned at Eastman School of Dentistry. In 2013, we welcomed Kati to the Lilac Family Dental team. She is graduate of Erie Community College dental assistant program and earned her certification before moving back to Rochester. With experience in general dentistry and periodontics, Stacey joined the Lilac family in 2015. She received her certificate in dental assisting from Monroe Community College. We are pleased to welcome new patients! MetLife, Guardian, Delta Dental, Aetna, Cigna, Health Economics, Excellus BlueCross BlueShield. New patient to our office? Download and complete our New Patient Form and please bring it with you to your first appointment.